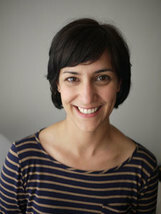 Dr. Caroline Faria, Assistant Professor in Geography, is a feminist political and cultural geographer working on gender and nationalism. In particular her research has focused on the US-based South Sudanese diaspora and the contemporary processes of gendered development and nation-building that have emerged since the signing of the 2005 Sudanese Comprehensive Peace Agreement. Through a feminist and critical race lens, she examines how the nation is bounded, reproduced and contested in the politics and performances of gendered bodies. This has included research on a South Sudanese diasporic beauty pageant, South Sudanese-American male musical performance, shifting gender norms following resettlement, diasporic new medias, and the emergence of transnational South Sudanese feminisms in the post-conflict era. Dr. Faria's work on this activism is ongoing, with a focus on the possibilities for and problems of feminist nationalist development in the newly independent South Sudan. Currently Dr. Faria is working on a new project following the commodity chain of synthetic and human hair production, distribution and consumption in East Africa. She is tracing the flow of hair weaves and related beauty products from Dubai to the markets of Kampala and Nairobi and onto the emerging markets in the newly independent republic. Through the lens of the beauty salon she is exploring the political-economy of business development, the tensions around and opportunities for new migrants, and the shifting notions of fashion and beauty in the new nation. In particular, she is interested in the contradictory ways in which the foreign, the modern and the cosmopolitan are both celebrated and worried over in the contemporary nationalist moment. See Dr. Faria's Website and CV here.